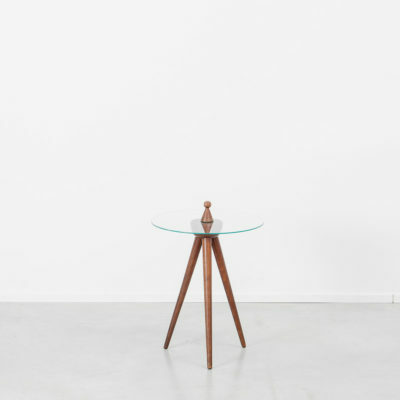 A charming gueridon side table of unknown designer but very much in the style of the Cesare Lacca classic. 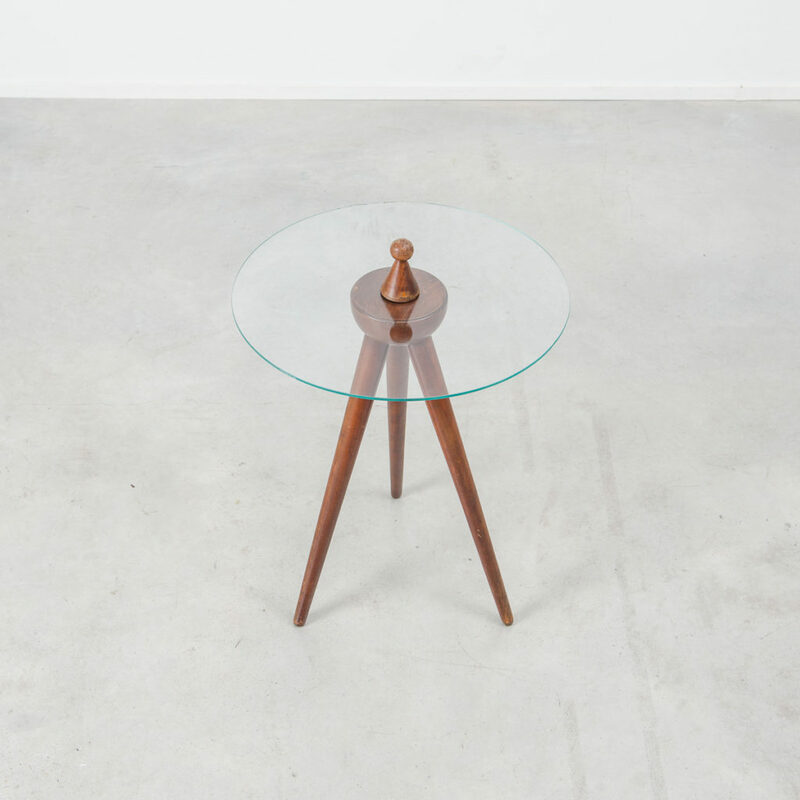 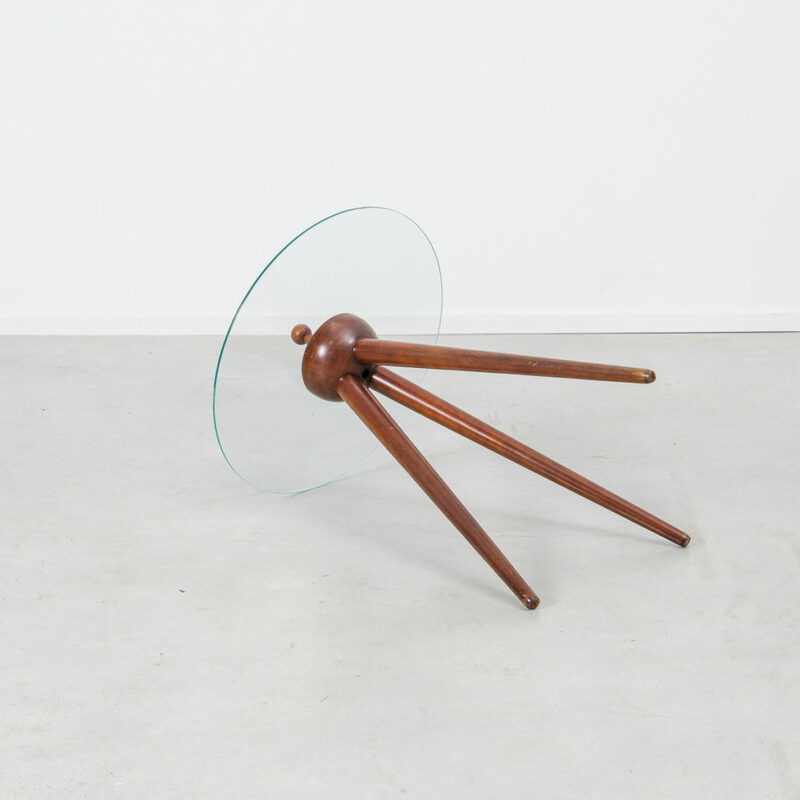 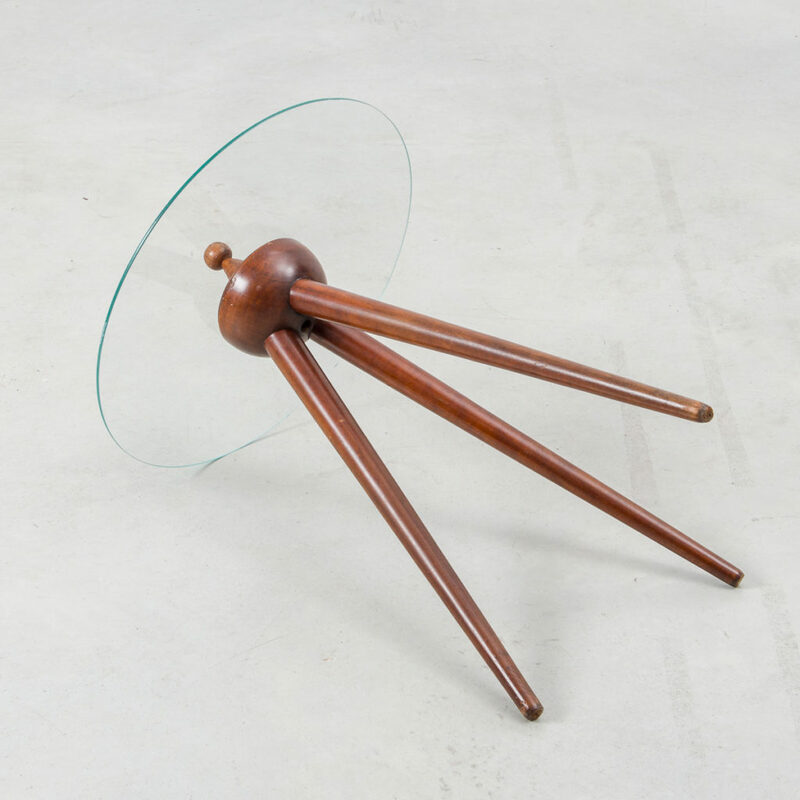 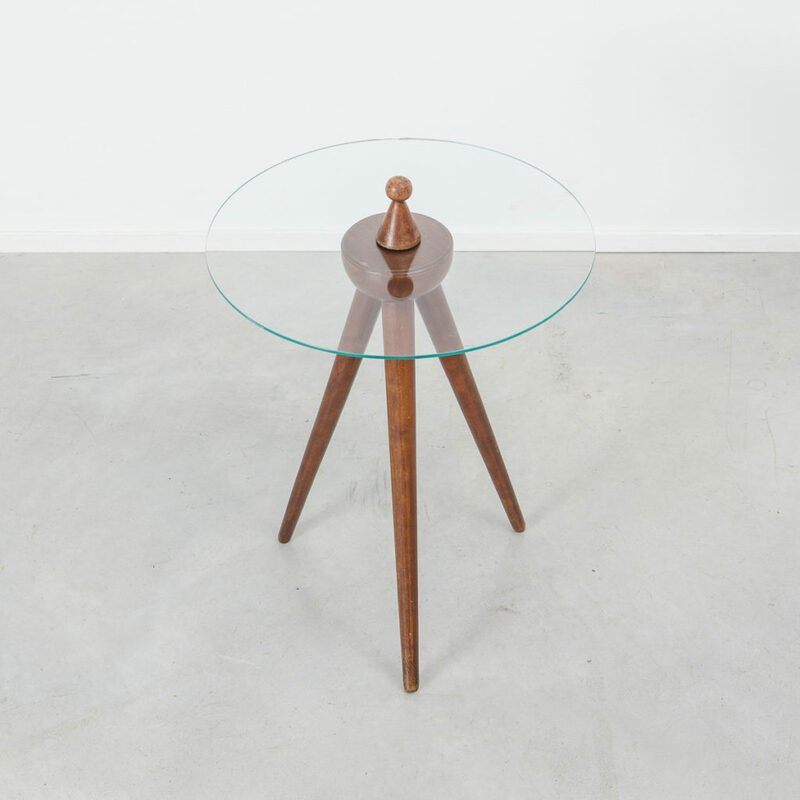 In classic atomic influenced mid century style a circular glass plate sits on top of tapered walnut legs. A high quality production. 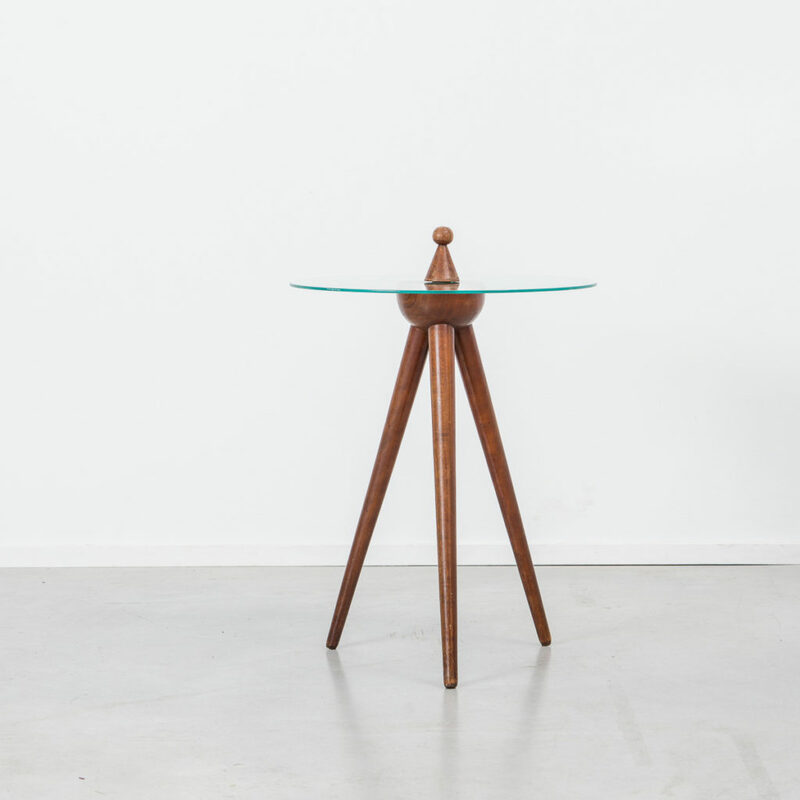 Great condition with a few age related marks to the wood.